The European Tour switches continent from Africa to Asia, for this week's Maybank Championship in the Malaysian capital. 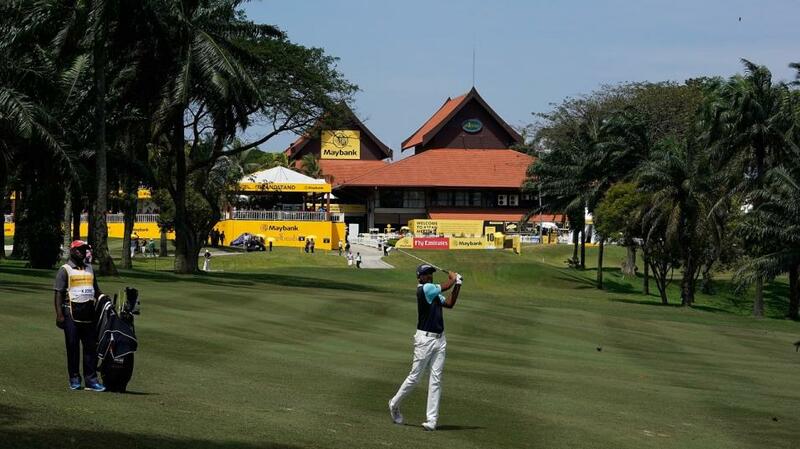 For a third straight year, and eighth time since the turn of the Millennium, the tournament is being staged at Saujana Country Club, around 12 miles west of Kuala Lumpur city centre. If you take a quick glance at the current form chart for those taking part this week, you could make a strong case for a number of those teeing-up on Thursday. 'Top seed' Joost Luiten, the world No 67, has played pretty solidly since last autumn and during the early weeks of 2019 has registered four top-12 finishes from five starts. Some of these performances have come in tournaments where the strength of field is greater than for this week in Malaysia. The consistent Dutchman tied-11th at Saujana 12 months ago. Ryan Fox, a winner on the European Tour in Perth during February, stood on the podium here last year. And the Tour's nearly man, Jorge Campillo, is back for another crack at trying to secure a maiden victory. The Spaniard has finished second six times during his career, with one of these at Saujana. He's also been runner-up in his last two starts in Oman and Qatar. One of those who finished alongside Campillo at Doha recently was Mike Lorenzo-Vera, who was 17th and 7th at Saujana these past two years. Winner in Kuala Lumpur last year was young Indian Shubhankar Sharma, who had tied-9th in the tournament 12 months earlier. The 22-year-old has not been in sparkling form of late but is still a real threat this week. And the same goes for Jazz Janewattananond who beat a strong overseas contingent in Singapore during January and rarely plays poorly on his home continent. Thailand's second highest ranked pro is certainly not scared to win. Others who may be worth a look are Jason Scrivener, Gaganjeet Bhullar, Fabrizio Zanotti and the experienced Prom Meesawat. Zanotti is a former winner over Saujana. Opened in 1986, Saujana's Palm Course was given an overhaul during 2015 when the main focus of attention was to renovate all 18 greens. Palm is acknowledged within Malaysia as being the country's toughest course, with tight tree-lined fairways and fast tricky greens. Its undulating fairways were carved out of a former oil plantation, with a layout that provides dramatic changes in elevation. The smallish greens are equally undulating and offer a multitude of slopes, while water hazards come into play on seven holes. Between hosting the Malaysian Open 10 years ago, and the 2017 Maybank Championship, two new holes were added to the venue. Once again, the tournament will be co-sanctioned by the European and Asian Tours.